The United States citizen application and immigration processes are extremely complex, and obtaining permanent residency requires a long list of requirements, paperwork, and the legal expertise to properly process and present your case. 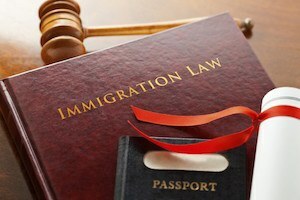 It is crucial to consult an experienced attorney who specializes in immigration law for your case. 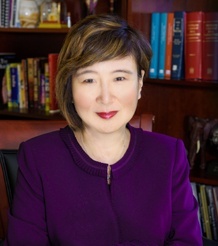 Having formerly lived in Mainland China, attorney and partner of Hilf & Hilf PLC, Sufen Hilf speaks fluent Mandarin Chinese and is especially sensitive to the needs of those dealing with immigration. Her many years of immigration law experience and expertise as a licensed attorney can benefit you and the people you care about. "I highly recommend Sufen to anybody who needs help in immigration cases. I used to hire over 5 attorneys for my complicated cases. With huge attorney fees spent, none of them solved my issue until I met Sufen, the #1 attorney in the metro Detroit area. She has a depth of knowledge, great communication skills, outstanding court experience, and more important, she has the unique observation and accurate judgment. I really appreciate her strong capacity in solving my cases that have lingered on my mind for over 10 years so I can live out of the shadows and feel happy and proud to enjoy life again. She is the right attorney who can find you a right and quick answer. Two thumbs up for her." "Attorney Sufen Hilf helped my family and I at the time we needed help the most. Our family is grateful for her work, patience, and skill. Without Sufen's help we would not be together today. I highly recommend her to anyone who wants their case handled efficiently and with great results."